Authorities plan to suspend the search for missing Malaysia Airlines Flight MH370 once the current priority search area is covered, Australia’s Joint Agency Coordination Center (JACC) announced on July 22. The likelihood of finding the airliner is “fading” but the search will not be terminated, the JACC said in a statement attributed to senior ministers from Australia, Malaysia and China. MH370, a Boeing 777-200 with 239 passengers and crew aboard, disappeared from radar on March 8, 2014 while flying from Kuala Lumpur to Beijing. Australia accepted responsibility for the search at the request of the Malaysian government; the effort has been concentrated in the southern Indian Ocean. Less than 10,000 sq km of a 120,000-sq-km priority search area remains to be searched, according to the JACC statement. In a July 20 update, the center said poor weather conditions had “severely impacted” operations and caused a delay of six to eight weeks. A piece of aircraft debris found on Pemba Island, off the coast of Tanzania, in late June was transported to Australia for examination. 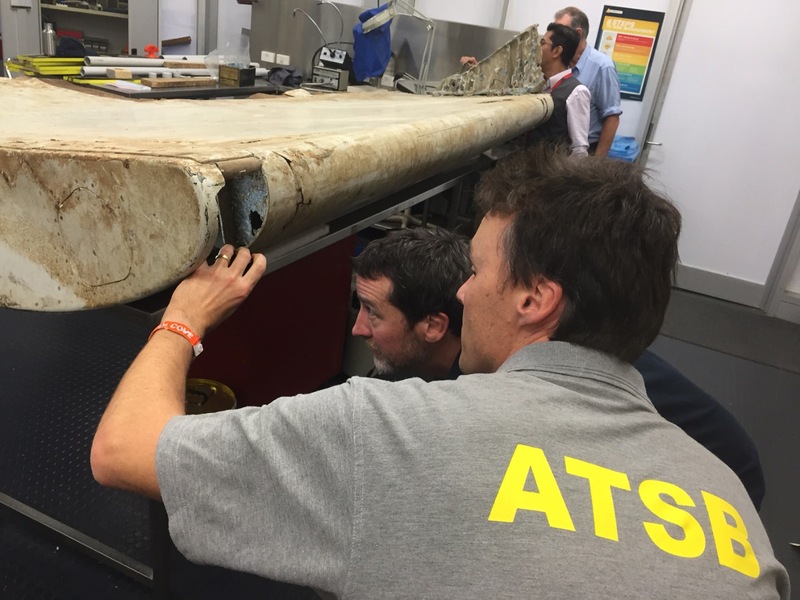 The Australian Transport Safety Bureau (ATSB) and Malaysia investigators were examining the piece, believed to be an outboard wing flap. Other pieces of debris suspected of coming from MH370 washed ashore in Mozambique in February, and on Réunion Island in the Indian Ocean in July 2015. According to the JACC’s July 22 statement, senior ministers met in Putrajaya, Malaysia, to discuss arrangements “in the event [MH370] is not located.” They considered the delays in the underwater search as a result of poor weather and damaged equipment as well as the latest discovery of aircraft debris. The statement emphasizes that the hunt will be suspended once the current search area is covered, although the suspension does not mean the search is terminated and that hope of finding MH370 is abandoned. “Ministers took the opportunity to reflect on the enormous sense of grief felt by so many people following the tragic disappearance of MH370 and again acknowledged and expressed their gratitude to the many nations of the world that had provided expertise and other assistance over the subsequent almost two and a half years,” the statement reads.